Most respondents believe their companies are not prepared to deal with the consequences of a data breach. Most companies have data breach response plans, but they are ineffective. Data breach response plans are often not effective because they are not reviewed in a timely manner. Data breach detection technologies are rarely deployed. 87% of senior managers upload business files to a personal email or cloud account. Email malware creation is up 26% year over year, with 317 million new pieces of malware created in 2014. Hackers targeted 5 out of 6 large companies using email attacks last year — an annual increase of 40%. Cybercrime has a 1,425% ROI. With the proliferation of data theft and compromised systems, more companies are addressing data privacy concerns via a renewed focus on security and encryption technology. To address these data privacy and security concerns, MDaemon administrators and users have three options for keeping confidential email messages and attachments secure – SSL/TLS, Virtru, and OpenPGP. 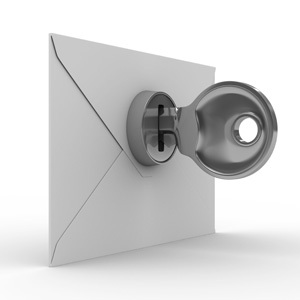 When an email message is sent, SSL or TLS is used to encrypt the connection from the mail client to the server or from the sending mail server to receiving mail server. Virtru provides end-to-end message and attachment encryption, and OpenPGP provides server-side encryption and key management as well as client-side encryption (when used with an OpenPGP plug-in on the mail client). When you use POP or IMAP to retrieve your email messages, your username and password are transmitted in clear-text across the internet. This means that anyone using the same network or wireless connection as you, or anyone who has access to internet traffic at your ISP, can potentially intercept your data and read your login credentials. A hacker with malicious intent can then read your email, steal confidential information, or send out thousands of spam messages from your account. Your email credentials are valuable to spammers because the success rate of their solicitations is much greater than if they had simply forged the return-path of the message (which is characteristic of most spam messages). 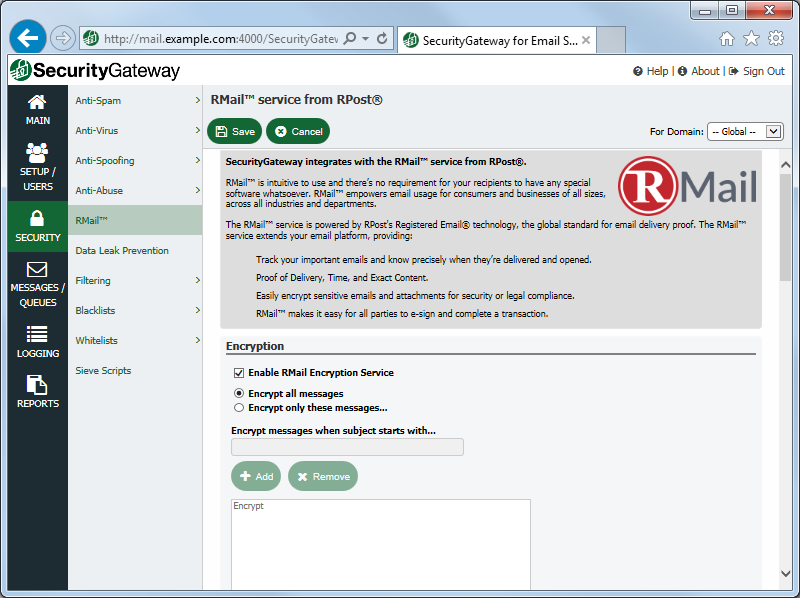 Normally, SMTP traffic is sent from client-to-server or server-to-server over port 25, but if you’d like the SMTP connection to be encrypted using SSL, by default you can configure your mail client to send outbound SMTP traffic over port 465, and you can also configure MDaemon or SecurityGateway to use port 465. Likewise, the default POP3 SSL port is 995, and the default IMAP SSL port is 993. This knowledge base article contains instructions for configuring SSL features for SMTP, POP, and IMAP for MDaemon. 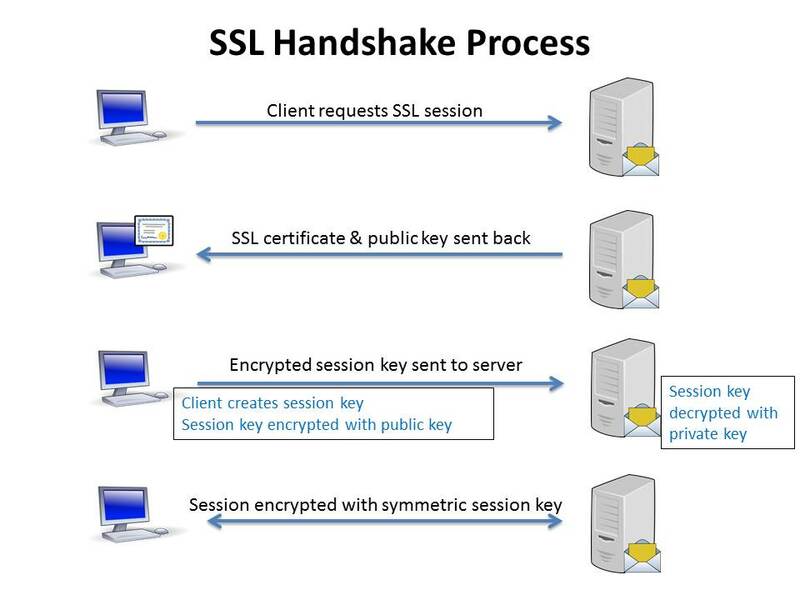 When SSL or TLS is used, the data itself is not encrypted, but the connection is. If you’d like the data itself to be encrypted, then continue reading for how to encrypt email messages and attachments using Virtru and OpenPGP. While SSL & TLS encrypt the connection, Virtru (included with MDaemon) encrypts the actual email message. Virtru provides end-to-end encryption – meaning the message is encrypted on the sending client and decrypted on the receiving client. Messages encrypted via Virtru are stored in their encrypted state on the server and cannot be decrypted without the proper keys. Virtru is included with MDaemon. Click here for more information on Virtru. With OpenPGP, messages are encrypted on the server, but they can also be encrypted on the mail client if an OpenPGP plug-in has been installed. The MDaemon administrator enables the OpenPGP features, creates public & private keys for users, and selects users who are allowed to use OpenPGP. Use the MDPGP configuration screen (located under the Security menu) to configure automatic encryption & key exchange, encryption key size and expiration, and to import keys. You can also create content filter rules to encrypt messages that meet specific criteria using OpenPGP. This knowledge base article contains step-by-step instructions for enabling MDaemon’s OpenPGP features, configuring who can use it, and creating public & private keys for users. Are These Features Easy to Use? SSL and TLS are enabled by simply enabling the SSL ports on the mail server and configuring your mail client to use the SSL ports. With Virtru, you’re up and running by simply enabling the feature in WorldClient. When you enable Virtru in WorldClient, your request is first sent to Virtru for processing. Within seconds, you’ll receive a pop-up message indicating that Virtru is now ready to start encrypting and decrypting your messages and message attachments. It’s that simple! 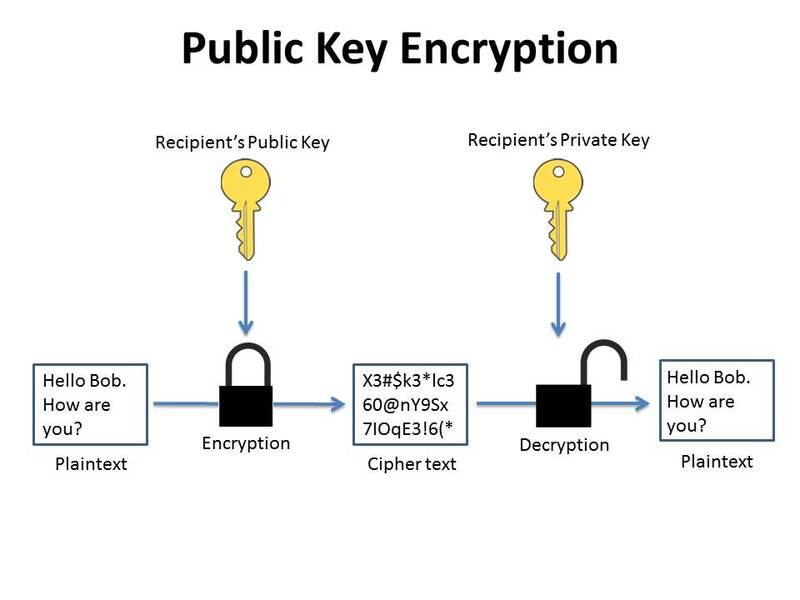 And for OpenPGP, options are available to help automate the encryption, decryption, and key import/exchange processes. 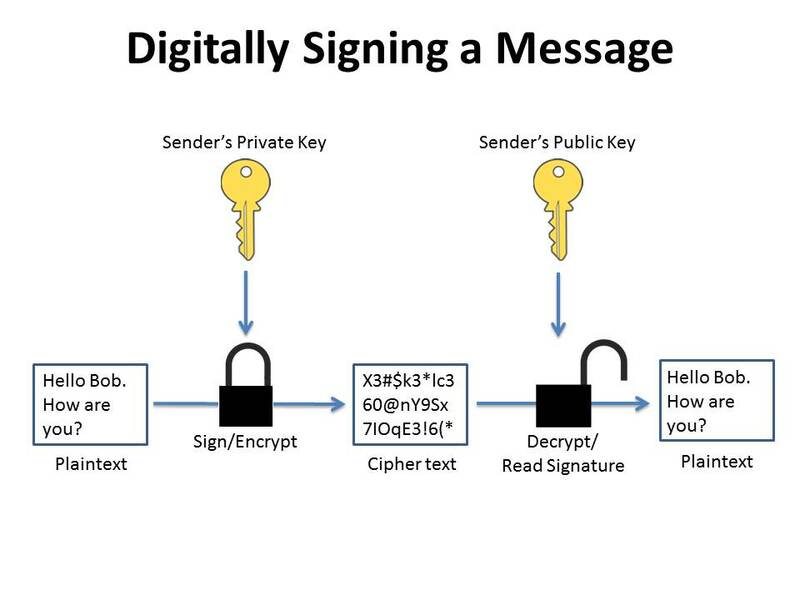 To recap, SSL & TLS can be used to help prevent eavesdropping on your email communication channel by encrypting the connection, while Virtru & OpenPGP can be used to help keep your email messages safe from unauthorized access by encrypting the actual email messages and attachments. Together, these security measures help to ensure that your confidential business data remains safe from unauthorized access. Are you ready to ensure your important business communications are safe from prying eyes? Then download MDaemon and get started with SSL, Virtru, and OpenPGP!